Fans, blowers, ventilators - industrial process pressure blower fans, commercial fans, OEM ventilators. Engineering of large heavy-duty force draft and induce drafr fans, blowers, ventialtors. Sales of combustion pressure blowers, high pressure air scrubber blowers, high temperature ovens and dryers ventilator fans, general ventilation fans and blowers. Distribution of New York, Twin City Fan, Northern Blower, Chicago Blower, Sheldons, Cincinnati Fan, Hartzell, IAP, Industrial air products, Canadian blower, Aerovent, Penn Ventilation, Penn-Barry, Barry Blower, ACME, Aerovent, Alphair fans and blowers. - Aluminum, steel, stainless stell, plastic blower options, variety of styles and sizes. 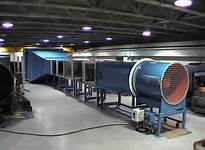 Industrial Pressure Blower Co. fans and blowers are sold and serviced by air moving experts that can evaluate your needs and provide best recommendations for your application.